A wonderful pass for the team mate from Thrissur against Kottayam defense in the first Semi Final. Babykutty: In the boys section host Thrissur beat Kottayam 67-44 while the defending champions Kozhikode girls drubbed Pathanamthitta 45-8 to make the finals of the 31st Kerala State Youth Basketball Championship for Boys and Girls at the Irinjalakuda Christ Vidyanikethan indoor basketball court. In the first girls semi final match Kozhikode who defeated Pathanamthitta will meet the winners of Thrissur and Kannur in the final. 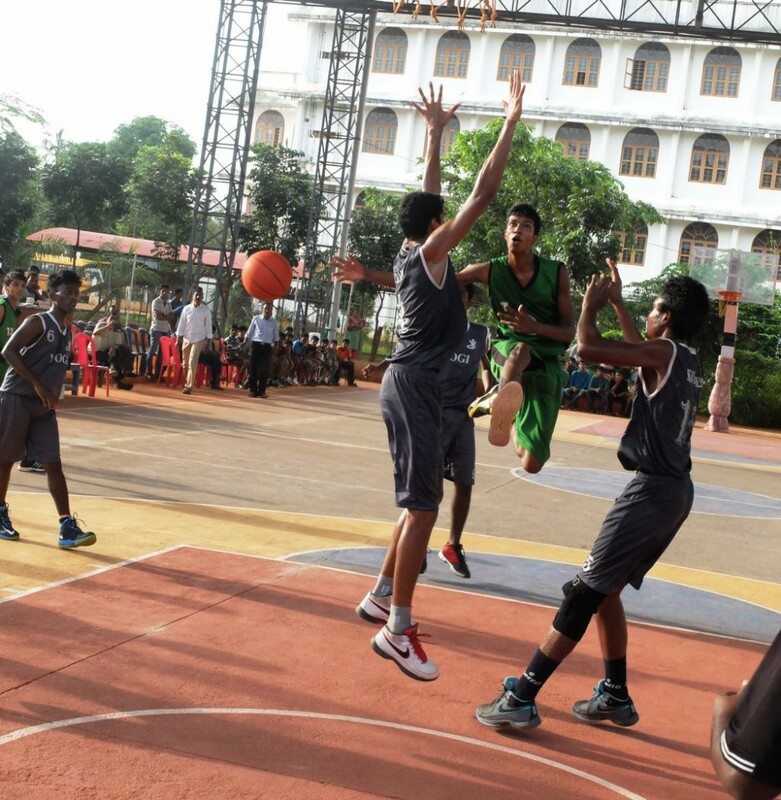 In the boys division, host Thrissur defeated Kottayam to meet the winners of Ernakulum and Alapuzha in the final. For Thrissur Gokul Babu was the top scorer with 26 points followed by Alan P Paul making 19 and for Kottayam Muhammed Shivas made 13. Earlier, in the late quarterfinal matches on Saturday, in the boys division Kottayam beat Pathanamthitta (58-51), Thrissur beat Thiruvananthapuram (43-20) and Ernakulum defeated Malapuram (55-23) to make the semi final. In the girls quarterfinal matches Kozhikode had an easy win over Alapuzha (74-25), Kannur defeated Kollam (41-23), Thrissur drubbed Kasargod (43-20) and Pathanmthitta scraped past Thiruvananthapuram (43-42) to make the Semi Final Line up.